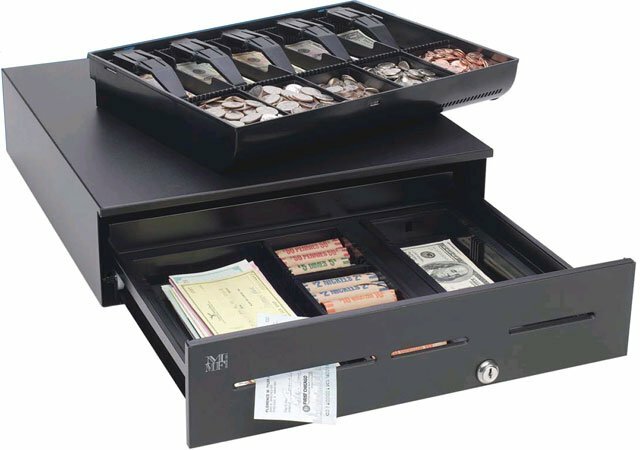 The MMF Advantage cash drawers feature unique Global Tills that boast twice the capacity of most other tills, plus a modular design which can be configured for differences in worldwide currencies. The Advantage also uses an inner drawer with a large capacity for coin rolls, large bills and media. The drawers are available with either 3 slots or no slots in a stainless steel or painted front. The MMF ADV114B1181004 is also known as MMF Cash Drawer	MMF-ADV114B1181004	.